For almost 45 years Wogen has traded in exotic metals and minerals spanning just about every part of the periodic table ranging from Antimony to Zircon. Our Traders are experts in their field with deep knowledge of specific metals and minerals encompassing mining, production, smelting, processing, conversion, supply and consumption. 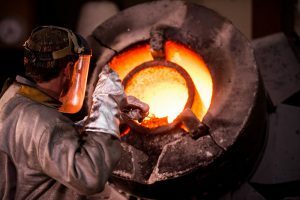 They embrace the industries that our products are used in, from steel mills, chemicals and super alloys, to electronics, engineering, aerospace, energy, construction, automotive, catalysts and jewellery.